Nothing beats the thrill of an Alaska train vacation. Riding the rails through majestic mountains, over rushing rivers, and through vast valleys is a once-in-a-lifetime experience. With so many great vacations to choose from, it can be hard to narrow down your options. Find the perfect Alaska Railroad itinerary using our unique search tool. Select the date, duration, and starting point that suit your schedule. 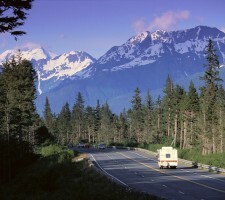 Then pick whether you’d like to overnight at one of our Denali-area hotels, or the scenic Mt. 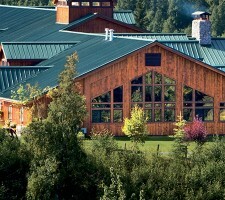 McKinley Princess Wilderness Lodge, or other local accommodations for a vacation that is tailored for you. 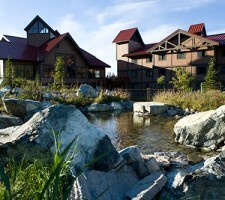 Stay overnight at near the entrance to Denali National Park - one of Alaska's top attractions. Blue rail tours include overnights in Denali. 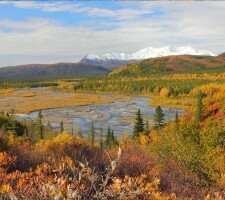 Yellow rail tours include overnights in Denali as well as Anchorage or Fairbanks at the start and end of your tour. 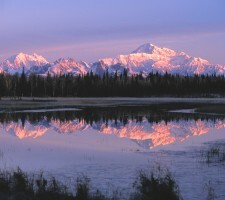 Visit the McKinley/South Denali area outside of Talkeetna. You'll enjoy some of the best views of Denali in the state. Blue rail tours include overnights in McKinley. Yellow rail tours include McKinley overnights as well as Anchorage or Fairbanks at the start and end of your tour. Princess Explorer Tours showcase the best of Alaska, including iconic Denali National Park. These 5 and 6 night packages combine luxury rail travel, hotel accommodations, sightseeing excursions and all transfers. Experience the Great Land under the guidance of a knowledgeable Tour Director on a Princess Lodges Escorted Tour! 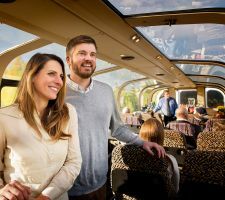 These 8 and 9 night packages combine luxury rail travel, hotel accommodations, sightseeing excursions, all transfers and an Alaska expert to ensure your vacation is as relaxing as possible. Explore Alaska's vast wilderness, National Parks and highways and byways at your own pace on a Princess Lodges Self-Drive Tour! These 8 and 9 night packages combine hotel accommodations, sightseeing excursions and car rental for independent travelers eager for an adventure. See details on all our current offers and discounts.